Museum and the site of the death of the Prince Imperial of France. There are also many game reserves in the area like the Weenen Game Reserve, the Spioenkop Nature Reserve, the Chelmsford Nature Reserve and Wagendrift Nature Reserve, among others. At Hattingspruit is the Tom Worthington Dam where you will find the Farmer’s Brewery that brews traditional home-brewed German and Austrian beers. Accredited Battlefields Tour guides are also available and can be arranged for on prior notification. 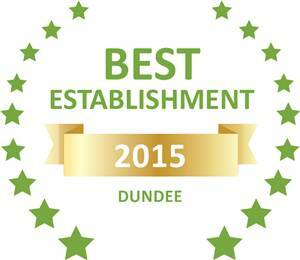 Based on reviews of establishments, Tranquil Guest House has been voted Best Establishment in Dundee for 2015. © 2019 Tranquil Guest House. All Rights Reserved.